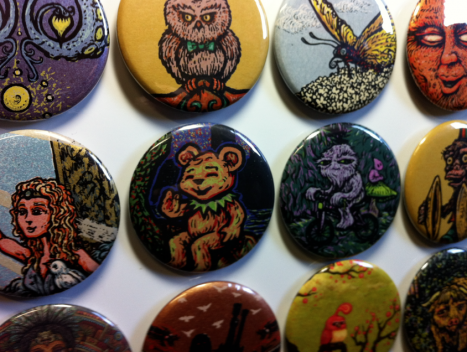 These are a sampling of some One-Off Magnets we made at the studio. These images were selected by cutting out small sections of scrap posters and other printed material we had lying around. Order a pack of 8 random magnets today and receive a few of these along with a bunch of designs from the Magnet Series. Really diggin the baby bird from “Branch with Birds” and love the Sun-Man from the WSP Chicago poster!